All meetings take place 8:00 a.m. – 9:15 a.m. Location information for the remainder of 2019 will be published when it's available. Over the last three years we have averaged 4 million dollars annually in closed business through referrals made within the group. We are now accepting businesses to participate in this seasoned program. We only accept two individuals for each business category so contact us now to secure your place. Contact JoAnne to sign up. 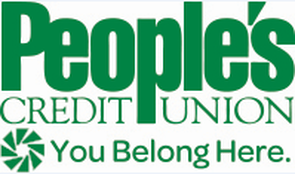 Chamber members are encouraged to participate in the Member-to-Member Discount Program. Participation is FREE and only available to Chamber members! Since it's creation, this valuable member-only program has grown to include over 300 participating businesses that have direct access to over 1,100 chamber member businesses, representing over 50,000 employees and potential consumers! 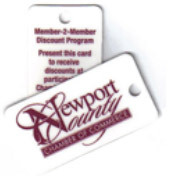 To date thousands of Member-to-Member Discount Key Tags have been distributed throughout Newport County and greater Rhode Island. You are entitled to the many discounts available. Request your key tags today! CLICK HERE to view a printable list of Chamber Members participating in the Member-to-Member Discount Program. Everyone Loves the Gift of Choice! Chamber Gift Certificates are redeemable at over 300 local businesses and support the local community! 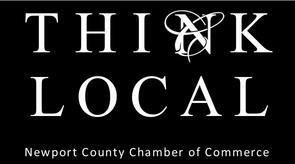 CLICK HERE to view Chamber Members that accept Chamber Gift Certificates. Gift Certificates can also be purchased over the phone by calling the chamber at 401-847-1608. A minimum shipping charge of $7.20 will apply to all phone orders. Promote your business products and services by participating in the Chamber Gift Certificate Program. Since the program's inception more than $1.5 million have been sold and redeemed at Chamber member businesses. As a member in good standing, we encourage you to use our logo on your website, your printed materials and other promotional and marketing materials as appropriate. 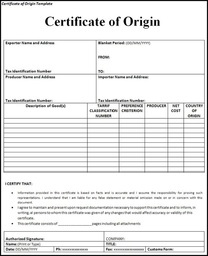 A Certificate of Origin (CO) is an important international trade document attesting that goods in a particular export shipment are wholly obtained, produced, manufactured or processed in a particular county. CO's also constitute a declaration by the exporter. Virtually every country in the world considers the origin of imported goods when determining what duty will be assessed on the goods or whether the goods may be legally imported at all. The Newport County Chamber is a key agent in the delivery of certificates of origin. Shipping internationally? We can assist with a CO. Visit our Office at 35 Valley Road, Middletown. Chambers Authority - The role of chambers of commerce delivering certificates of origin can be traced back to the 1923 Geneva Convention relating to the Simplification of Customs Formalities, Article 11. The Chamber has a notary on staff. 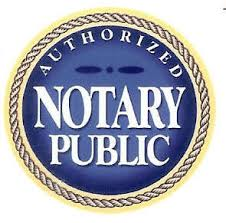 Call 401-847-1608 to schedule a time with the notary in advance.